I stumbled on a great family movie yesterday while clicking around Amazon Prime Video. 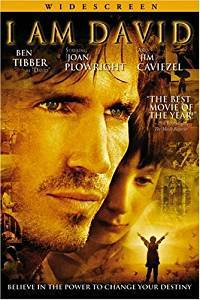 I Am David (2004) is about a 12 year old boy who escapes from a Bulgarian gulag in the early 1960s. He's grown up in the camp and has no idea what the outside world is like. The movie is based on the 1963 middle-school book by Ann Holm (originally titled North to Freedom). As an adult watching it I can see all the understated emotions and thoughts going on, while older children watching it can see it as a heroic journey, which it is. The film is not big-budget, but the scenery is beautifully shot and the soundtrack is exceptional. But what makes it a great movie is the story. It's a very moving film and I recommend it. Reminder: you can try Amazon Prime for free for 30 days. The new odd couple, Carol and Morgan, meet Ezekiel. That's about as much as I know at this time, as I yet have to view the episode. I will update the post below when I watch it. In the meantime, cord-cutters can see The Well on Amazon. UPDATE: I've seen the episode, my spoiler-filled thoughts are below the jump. This episode is a welcome relief from last week's horrors. Morgan and Carol are rescued by people (dressed as knights) on horseback from The Kingdom. Carol wakes after two days in a hospital setting and Morgan takes her to see the guy in charge - "King Ezekiel" who, by the way, has a tiger. Carol plays along, but you can tell she thinks it's all a big fairy-tale, and in typical Carol fashion goes around in a wheelchair stealing gear to equip her for an escape while chatting with residents about how awesome The Kingdom is. I love Carol so much in this mode. Morgan meantime finds out that King Ezekiel is quietly paying tribute to the Saviors (Negans group). He also gets talked into training a young guy, Ben, on use of a staff. King Ezekiel catches Carol sneaking out, and they have a heart to heart. Ezekiel seems like a really good guy, playing a role he fell into to help other and himself survive. He suggests that Carol let him try to help her by going and not going, which translates to her moving to a house literally just outside The Kingdom's gates. I like Ezekiel, and I like The Kingdom, so I'm pretty sure the TWD writers have already horrifically doomed them. I bet they already have storyboards gruesomely depicting their awful demise, the bastards. Before that happens, I do hope Ezekiel helps Carol get her mojo back. 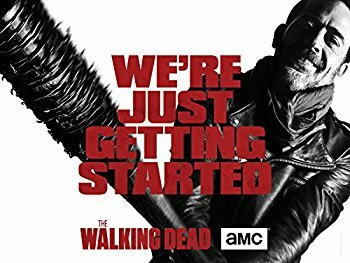 Ezekiel seems like the anti-Negan, who is another guy who also seems to be playing a role to help his group survive. My guess is that the arc of season will be about Rick finding a way to reclaim leadership in a path between these two extremes. Preview of the next episode shows that it will be all about Daryl. Writers better not lop off any bit of Daryl like Negan was threatening! P.S. I hope Shiva gets to eat Negan. I loved Carol in this episode! I hope Shiva eats Negan too, but I want it to be Maggie who unleashes him. Maggie uses Lucille to break his knees so he can't run, then Shiva eats him.